Moderate-high pressure out west brings above-average temperatures across California following the extreme heat last week. Tropical moisture will stream into Southern California through mid-week providing a slight cool down along with scattered showers and thunderstorms. Isolated to scattered showers will continue across Central Mexico with seasonal temperatures expected. 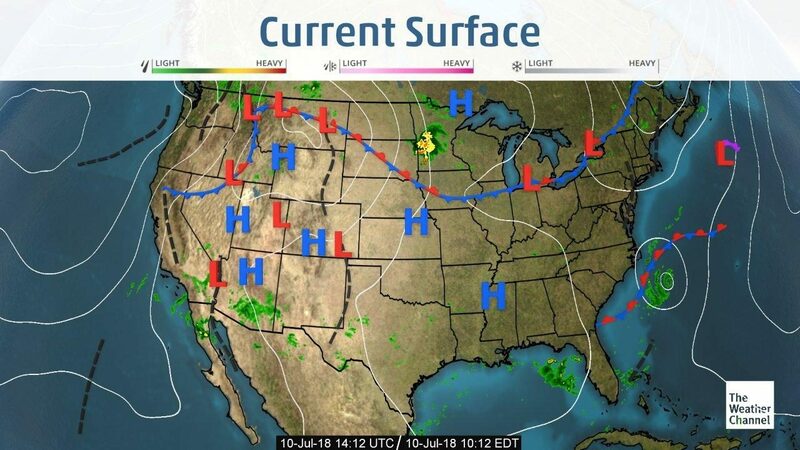 Monsoonal moisture will bring showers and thunderstorms to Northern Mexico and the Southwestern desert regions with above average temperatures. Florida will see limited precipitation from Tropical Storm Chris as it moves to the northeast. Another storm system far the south Beryl looks to dissipate with little effect on the region. Thus expect typical isolated showers and seasonal temperatures this week. A frontal system looks to bring heavier rain to the region early next week. California trucks remain tighter than normal. Look for capacity to remain tight thru out the summer. Washington apple truck supply is steady. Idaho potato trucks remain steady as well. The national average on diesel remained steady this week and is currently at 3.243 per gallon. An increase of .762 from this time last year. 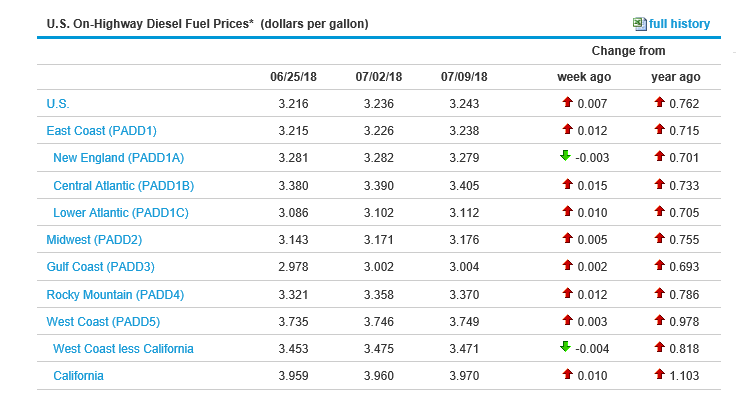 California prices remained steady as well and are now at 3.970 per gallon. Crude oil remained steady this week and is currently at 73.29 per barrel. Bell Peppers (Western): Colored pepper markets are stronger, especially yellow bell peppers. Pricing remains higher. Green pepper market also remains active. Berries (Strawberries): Supplies are limited and prices are higher. Warmer weather is expected to cause softer and darker berries. Chili Peppers: Anaheim and Pasilla peppers are in light supply. Pricing is higher on these varieties. Citrus (Lemons): Demand exceeds supply on all sizes of choice and fancy grades. Onions: Keep and eye on the weather out of New Mexico. Potatoes: Idaho Storage Burbanks will slowly wind down as we get into August. Potatoes: Washington is transitioning to New Crop Norkotah's over the next couple of weeks. Potatoes (colored): California supplies are shifting from Bakersfield growing area to Stockton. Pears: California has started harvesting Crimson Red Pears and Bartletts. Celery: Michigan is expected to begin production by the end of the week. Berries (Strawberries): We are on the tail end of the first peak production in Salinas / Watsonville. We expect another peak in August.